Will Alabama's Jalen Hurts Soon Become "The Biggest Free Agent in CFB History"? Maybe it's best to begin with the stone cold truth, a dose of reality from the most anticipated quarterback competition in all of college football. Jalen Hurts isn't changing positions, and there's a good chance if Alabama's record-breaking junior quarterback doesn't win the starting job while competing with national championship hero Tua Tagovailoa, he's not hanging around Tuscaloosa in the fall to watch from the bench. "I told Jalen, you f--ked up, you opened the door and put yourself in this situation," Averion Hurts, Jalen's dad, told B/R in an exclusive interview in the Hurts' hometown of Channelview, Texas. "Now it's up to you to dig yourself out." It has been more than four months since Tagovailoa finished off a freshman season of inactivity with two quarters and one overtime series of the unthinkable. When he replaced a struggling Hurts at halftime of the College Football Playoff National Championship and led Alabama to another national title, he unleashed the idea that 30 minutes of doing just about everything right supersedes two seasons of doing nearly nothing wrong. It wasn't long ago that Jalen Hurts was well on his way to securing his place alongside the best quarterbacks to play at Alabama, whether it was Kenny Stabler and Bart Starr, Jay Barker and AJ McCarron, or even Joe Willie Namath himself. Now he may not play another down for the Tide. Saban hasn't allowed his two quarterbacks to speak to the media, so those who know Hurts, who have been part of his life growing up in Texas and part of his team at Alabama, must speak for him. To a person, they say the same thing: The player who was so gracious in Tua's afterglow, who selflessly praised Tagovailoa in his brief moment of glory, is determined to win back his starting job. So while the college football world embraced all things Tagovailoa, Hurts went to work the following week and arrived at spring practice in the best shape of his career. Or, as Alabama offensive lineman Ross Pierschbacher said succinctly, "Hungry dogs run faster." Averion Hurts, a successful head coach at Channelview High School, doesn't like talking about what-ifs because, in his mind, his son is winning the job. But he can also appreciate the optics staring back at Saban. "Coach Saban's job is to do what's best for his team. I have no problem with that," Averion Hurts said. "My job is to do what's best for Jalen—and make no mistake, Jalen is a quarterback, and he wants to play quarterback. He loves Alabama, loves Coach Saban and everything about that place. But he wants to play, and he will play…"
Averion stops mid-sentence because the idea of his son not playing for Alabama isn't one he takes lightly. What if Jalen doesn't win the job, he is asked? He shakes his head slowly, answers begrudgingly. "Well, he'd be the biggest free agent in college football history." Think about that: Jalen Hurts, with two years of eligibility, on the open market. Don't think Saban hasn't thought of that, too. That's the reason he tried to sign former East Carolina quarterback Gardner Minshew—who eventually chose Washington State—and why he'll likely try to land another graduate transfer this offseason. There's a good chance whoever loses the quarterback competition at Alabama will be looking for a new home. As much as Saban has tried to control the process and prepare for any contingencies, all he can really do at the moment is add another arm to the competition. If history is any indicator, Saban likely will carry the competition all the way through fall camp and into game week, like he did two years ago with Hurts and three others. Hurts won that job in the first game against Southern Cal after coming off the bench to replace an ineffective Blake Barnett, who left Alabama after that and now plays at Arizona State. This competition has been stalled by a broken bone in Tagovailoa's throwing hand that has kept him from significant work in spring practice. Alabama's annual A-Day Game is Saturday, and Tagovailoa's status is in doubt. He further aggravated the injury last week, and Saban may not want to risk playing him, even with a no-contact jersey. But that has done little to change the landscape of the biggest story of the college football offseason. "Don't kid yourself—every single one of us would love to be in Nick's situation," one SEC coach said. "But that's a tough spot. You know what Jalen gives you. You've seen him go through the wars. But Tua, boy, that's a talent right there. He looks like one of those 'hey, these dudes only come along every so often' type of player." 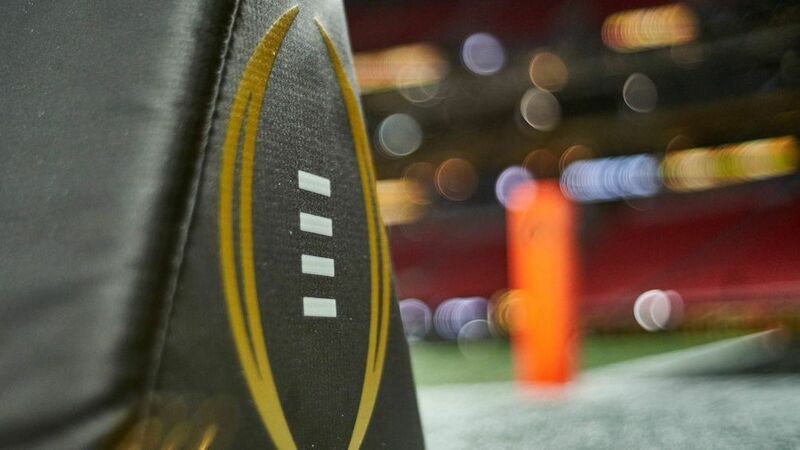 There were three quarterbacks in last year's College Football Playoff National Championship, three unique talents—one sophomore, Hurts, and two true freshmen, Tagovailoa and Georgia's Jake Fromm—who could play a critical role in future playoffs. Hurts is the youngest of the group. Hurts was 17 when he enrolled at Alabama in the spring of 2016. He was only one month removed from his 18th birthday when he won the starting job. He will graduate from Alabama in December with a degree in public relations. "The thing that stuck out the most was that he was just unfazed," said Mario Cristobal, the head coach at Oregon who was the offensive line coach at Alabama when Hurts arrived. "He gets to a place that is loaded with talent at every position, and he's playing the most important position in an offense that was completely different from what he was used to, and he just kept chopping wood. No matter how hot it got, how heated and challenging, I never saw him lose his cool." "All he has ever wanted to do was play quarterback," Averion says of his son. "He's not a tight end or an H-back or anything else. He's a quarterback." Hurts has had four offensive coordinators (Lane Kiffin, Steve Sarkisian, Brian Daboll, Mike Locksley) and four quarterbacks coaches (Kiffin, Sarkisian, Daboll, Dan Enos) in his brief time at Alabama. So it should come as no surprise that while playing for his third coordinator and quarterbacks coach (Daboll), Hurts' numbers regressed last season. He tried to eliminate mistakes and decreased his interceptions from nine in 2016 to one last season. But in the process, his game changed. He held on to the ball too long, took too many sacks and struggled at times to read defenses. In January, ESPN draft expert Mel Kiper added to the narrative that Hurts could change positions when he told reporters Hurts won't play quarterback in the NFL. "You're really going to say that about a kid who is all of 19 years old, who hasn't had the same OC since he has been there?" an NFC scout told Bleacher Report. "Jalen can get better in any number of areas; there's no question about that. But to say a kid who is 19 can't play the position and should move to another is incredibly shortsighted. … You're going to tell me a guy who is a proven winner, who is an unreal locker room presence, who just needs coaching and work, will never play quarterback in our league? Come on, expand your mind a little bit." Let's take a second look at reality: Hurts did open the door for Tagovailoa, but he did so long before the national championship game. It began in November with struggles at Auburn in Alabama's only loss of the season, when the Tide couldn't block Auburn's ferocious front four and Hurts paid for it. He completed only 12 of 22 passes for 112 yards and followed that with 120 yards passing against Clemson in the CFP semifinal. The Alabama staff wanted to get Tagovailoa in the Clemson game, but that didn't happen. Despite Hurts' struggles, he did throw two touchdown passes and didn't have an interception in the 24-6 win. Once Georgia dominated the first half of the national championship game in which Hurts completed only three of eight passes for 21 yards, Saban made the move to Tagovailoa as the Tide trailed 13-0. "I don't know if it was by design or out of necessity, but the play-calling in that game changed dramatically with [Tagovailoa] in the game," another SEC coach said. "It's like Nick said, 'Screw it, let's see what he can do.'" There's no minimizing Tagovailoa's impact. His energy and dynamic ability changed everything in the Tide's 26-23 overtime victory—just like Hurts did for the offense two years earlier in his debut coming off the bench against USC. But understand this: Tagovailoa, while in a difficult situation, was essentially playing with house money. Everything he did well was a bonus—and everything seemed to fall into place. His first touchdown pass was his best read and throw of the game. He waited for wide receiver Henry Ruggs III to clear on a crossing pattern in the back of the end zone and delivered an on-target throw. Tagovailoa's worst throw, an ugly interception that never should've been thrown, set up Georgia at the Tide 39. But it was wiped off the board a play later by a tipped interception by Alabama linebacker Raekwon Davis. Tagovailoa later got away with throwing into triple coverage from the Georgia 12, a throw to the back of the end zone that was juggled and nearly intercepted by Georgia safety Dominick Sanders. Alabama settled for a field goal. Tagovailoa's second touchdown was intended for tailback Najee Harris but was thrown behind him. Wideout Calvin Ridley, who was crossing in front, grabbed the throw in the end zone. A play before the game-winning touchdown throw, Tagovailoa took a horrible sack for a 16-yard loss—a sack that any other time might have contributed to Alabama's loss. On the game-winning throw, Sanders opened his hips to the middle of the field to honor a post run by Ridley. By the time he turned, Alabama wideout DeVonta Smith was behind the coverage. Tagovailoa then made a perfect throw. "We always say, keep playing, things happen, and Tua kept firing," Daboll, who is now with the NFL's Buffalo Bills, said after the national championship game. He declined this month to talk about the competition. Kiffin, who is now the head coach at Florida Atlantic, also declined, but it was Kiffin who tweeted during the national championship game, "Are we going to actually throw the ball downfield once???" and "Time to roll!! Let #2 play. He will win it!!!" For 11 seasons Saban has had his thumb on all things controversial in Tuscaloosa, refusing to allow anything to sideswipe the meticulous process that has built one of the best programs in college football history. But for the first time since he arrived on campus in 2007 with a police-escorted, black SUV rolling down Paul W. Bryant Drive, he has a full-blown controversy on his hands. Like it or not. "There's no controversy here," Saban said. "We won't let it become a distraction to this team." Hurts is 26-2 as a starter. Except for a drive for the ages from one of the greatest college quarterbacks of the modern era (Deshaun Watson) in the 2016 national championship game, Hurts would have led Alabama to one national title. He led the Tide to the precipice of another in the 2017 title game only to be replaced by Tagovailoa in the second half. Hurts embodies everything Saban holds sacred in his famed process. He's a tireless perfectionist on the field, in the weight room, in the classroom and in the community. "Jalen is the kind of young person every team, every family, needs," Saban said. 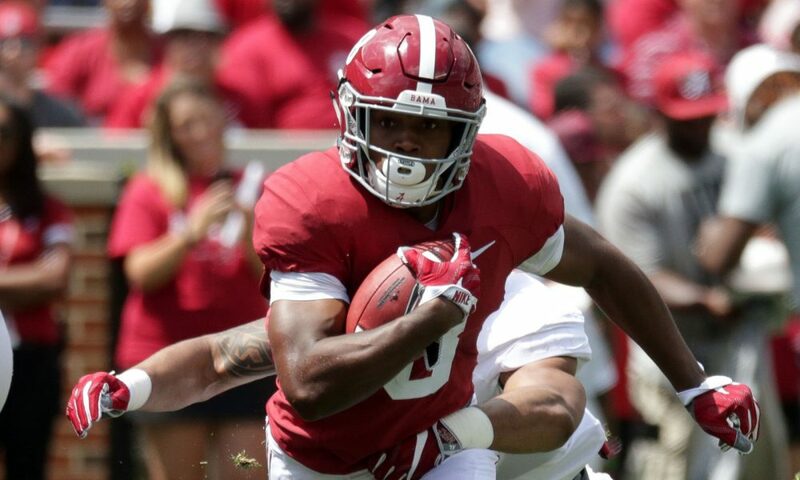 The unbridled mustang of a talent arrived in Tuscaloosa from Hawaii in the spring of 2017 but couldn't gain enough traction to win the job from Hurts, who months earlier was named offensive player of the year in the best conference in the game as a true freshman. So Tagovailoa sat and watched all season, getting mop-up time in blowouts while Alabama strengthened its hold on the No. 1 ranking. Until Alabama was desperate. Until Hurts opened the door. "The beauty of this place," said Pierschbacher, who has played on the offensive line with both QBs, "is competition brings out the best in everyone." When Hurts first showed up on campus in December 2015 and was later practicing with the Tide before the national championship game against Clemson, Saban asked him to play Watson on the scout team. Saban needed his defense to see a look that closely resembled Watson, and there wasn't anyone else on the team who could do it. For a week straight, Hurts toyed with an elite Alabama defense, pressing it in ways no one had all season. A defense full of NFL draft picks couldn't slow down a 17-year-old six weeks removed from his senior season in high school. And today, Harris, who has played in the same backfield with Hurts for two years, says Hurts remains as composed and self-assured as ever. "If I didn't know what was going on, based on how Jalen handles himself and how he treats every day with confidence, you wouldn't know anything was going on," Harris said. There are two ways this thing can go. Fortunately for Hurts, he controls one of them.